Just about anything can fit in this large tote bag. 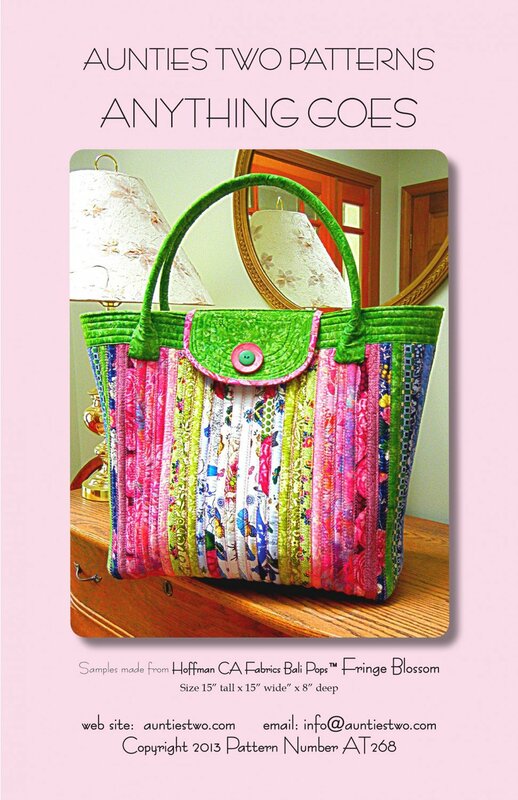 Make it from fabric tubes filled with double-sided fusible batting or medium weight cotton batting. Zigzag stitch together. Leave it plain or add pockets inside and a closure outside. 15in tall x 15in wide x 8in deep.